Promoting Science, Reason and Humanist Values in the greater Pittsburgh area. It's that time of the year again – Black Friday, heavy traffic, cold weather, RWNJs whining about the “War on Christmas”, etc. 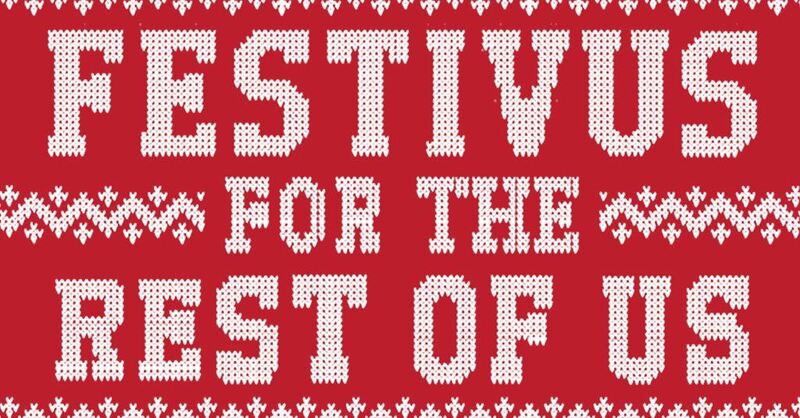 But there is a bright spot – it's also time for PFC's annual Festivus party. Time to “eat, drink, and be merry” with your fellow Freethinkers and celebrate the winter solstice like our species has been doing for the last ten thousand years or so. So come on out and join us for our traditional activities like the Airing of Grievances, Feats of Strength, and Contests of Mental Acuity as we gather around the ornate Festivus pole. Okay – maybe not so ornate. But food will be plentiful, and one drink per paid adult entry will be provided, as well. Admission is $20 per adult, and because this is intended to be a family friendly event, children's admission is only $5 (sorry – no alcohol for them). Children are encouraged to participate in the activities. Please register so that we can provide the hosting venue with an accurate count of attendees to ensure sufficient food and drink tickets. Deadline for registration is Tuesday, December 4th. If desired, you may also pay in advance when registering. We have Visa and Mastercard payment options both here and at the door. Looking forward to seeing everyone there so that a good time can be had by all!! !